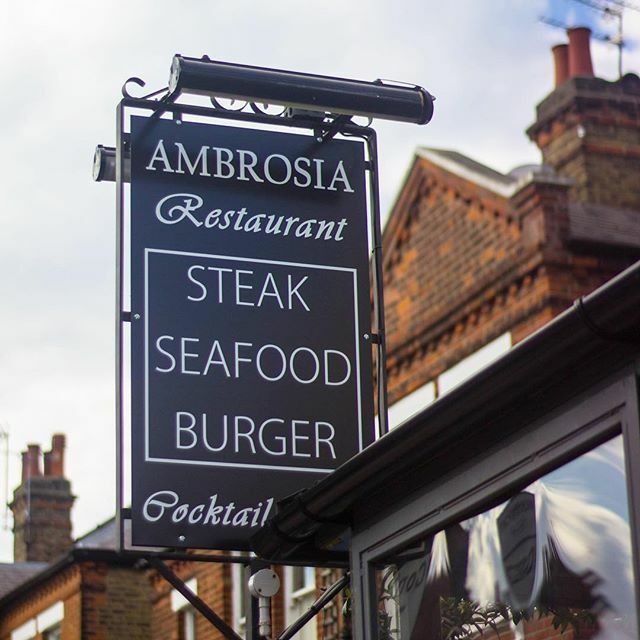 Ambrosia Restaurant would like to welcome our special customers who have open-heartedly greeted us into their community; specializing in steaks, seafood, grills and burgers we welcome you to a rich and fine dining experience. ‘Ambrosia’ is the name given to a Greek myth God, it is known as the Food of the Gods and is believed that those who consume these foods are immortal. Although we cannot give you immortality, we would like to believe that we could help you taste exquisite dishes that you believe will lead you to live beyond the years. Providing the highest of dining experience that customers have been searching for, with our unique menus and attentive services. From Children’s menus to Tapas and our special Sunday Roast; our newly opened restaurant and cocktail bar in Winchmore Hill is proud to welcome fresh British, European and Greek flavors into the borough. Quality foods, a smooth environment and calming atmosphere are what Ambrosia can promise to give you. All of our ingredients and deliveries are sourced from local suppliers, with our steaks Aberdeenshire dry aged. Fresh seafood and lobsters are also delivered on a daily basis, allowing us to praise all of our seafood dishes. Our juicy Angus burgers are cooked to perfection, with each individual’s taste buds taken into consideration. Our very own barman, with experience of over 10 years, has especially put the drinks menu together. All of our wines are the finest and have been picked out to complement the menu. We would officially like to welcome you to Ambrosia and hope you have a delightful dining experience. We cater for birthday parties with free birthday cake, office gathering, anniversaries and events. Special set menu price will be provided on request.